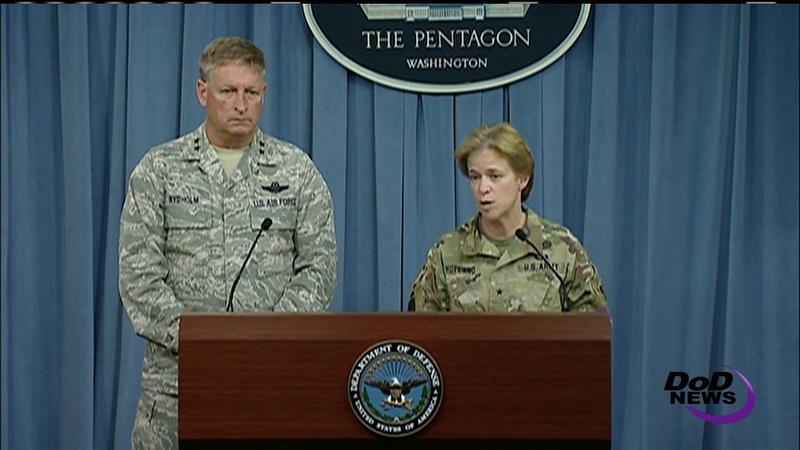 The numerous natural disasters of the past couple of weeks have cut a wide swath across the United States from Florida and the Caribbean region to the West Coast, Air Force Maj. Gen. Derek P. Rydholm, deputy to the chief of the Air Force Reserve told Pentagon reporters today. Appearing with him to give an update on support to hurricane relief efforts was Army Brig. Gen. Diana M. Holland, U.S. Army Corps of Engineers South Atlantic Division commander. 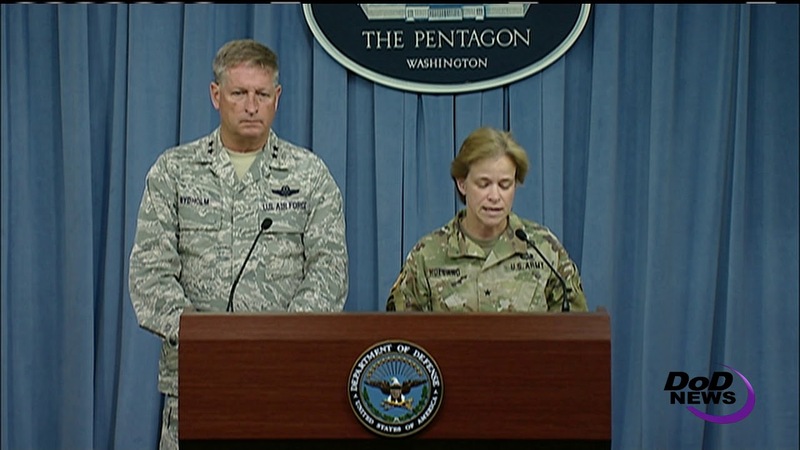 Yesterday, Navy Adm. Kurt W. Tidd, U.S. Southern Command commander, said the U.S. military’s assistance was requested because of its “unique capabilities, and the speed and flexibility that are needed most in the critical, early stages of disaster relief operations,” during a media roundtable at the Pentagon. Holland noted examples of the Corps’ expertise in the cleanup after the storms: performing high-volume debris removal, infrastructure assessments, temporary emergency power restoration, temporary roofing and temporary housing. And in collaboration with the Coast Guard and the National Oceanic and Atmospheric Administration, the Corps is working with ports authorities to help those ports that are closed, she said. The Corps is also working with NOAA and the Coast Guard to survey channels to confirm they are safe to open. Corps military and civilian personnel were positioned in Puerto Rico and the Virgin Islands ahead of Irma’s landfall, Holland noted, to quickly assess the damage and begin to plan for required support. The San Juan airport in Puerto Rico has just opened, to military traffic, Holland said. “[There are] of course a lot of power outages, roads blocked by debris and water damage,” she said. The Corps’ assessments will continue over the next several days in support of the Federal Emergency Management Agency, the Corps will look at ports in Puerto Rico and the Virgin Islands, and assist FEMA with the islands’ emergency repairs at airports and assess power on both islands. Power assessment will be a priority at hospitals, health clinics and wastewater treatment plants, Holland said. In the coming weeks and months, Holland’s team will make sure the Corps has capabilities in place and that the agency is balanced across all of its regions as the recovery continues. “We’re just over halfway through the hurricane season,” she said, adding that Nov. 1 usually marks the end of the season. “Although we’re focusing our attention on the response to Irma and Maria, we also must remain prepared and flexible in the event we have another storm, Holland said of the Corps’ response mission. “There’s a long road ahead, but as a representative of the Army Corps of Engineers, I can say we’re committed to this no matter how long it’s required,” Holland said.